1814 was an important year in the British Empire. The Allied Sixth Coalition forces defeated the armies of Napoleon and forced him to abdicate, and the United States was at war with the British in North America. Nearly 4,000 miles away, two adversaries were struggling for power in India. The Gorkha Kingdom was at war with the British East India Company in Northern India. The Anglo-Nepalese War of 1814-1816 was one of the British Empire’s most unspectacular military performances of the nineteenth century. The British expedition was supposed to be a demonstration of strength, but it met an unanticipated determination from the Nepalese people. Historian John Pemble stated that the Nepalese proved unimaginably resilient and the British inept beyond all expectations. In the end, Nepal was defeated, but no one could claim they had been conquered. 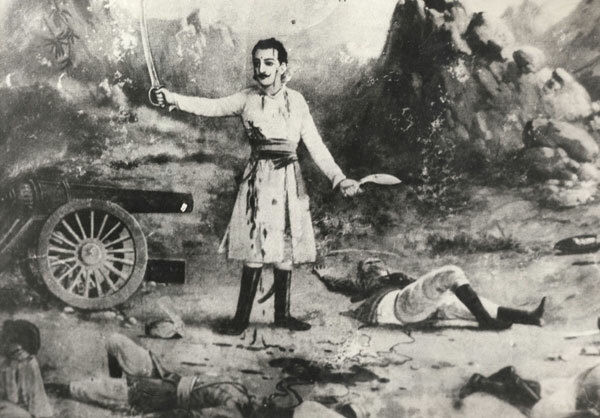 The attack on Kalunga (Khalanga) in October of 1814 established the same myth of heroism for the Nepalese as it did for the Greeks at Thermopylae or the Siamese at Bang Rachan. Nepalese historian Mojumdar Kanchanmoy indicated that the British East India Company had grown tired of the “nibbling encroachments and conquests” of the Nepalese Hillmen, who unremittingly harassed the British protected Indian states and their trans-Himalayan trade. For over ten years, the Nepalese audaciously pushed southwards into British territory, primarily into the disputed territory of Butwal and Sheoraj. The British East India Company chose to act and destroy their defiant neighbors once and for all. The plans for invasion were devised by the Commander-in-Chief and Governor-General in India, Francis Edward Rawdon-Hastings, a veteran of the Battle of Bunker Hill. In October of 1814, Hastings ordered 22,000 troops to penetrate the 600-mile border of the Gorkha Kingdom that stretched across the Himalayas and bordered British-controlled Northern India. The objective would be to capture Kathmandu, the reigning capital of the Gorkha Kingdom. In essence, the thrust was an attempt to quickly cut off the seat of power and cause a rapid collapse of Nepalese leadership. Hastings planned to cut the kingdom in half by sending two columns in a thrust to the east and two columns to the west. In the east, Major-Generals Bennet Marley and John Sullivan Wood would each lead a column by separate routes across the Tarai towards the heart of the Kathmandu Valley. Two other columns, one under Colonel David Ochterlony and the other under Major-General Robert Rollo Gillespie, were ordered to penetrate the far western hills by separate routes and concentrate to destroy the main Nepalese Army, under the command of Amar Singh Thapa. Major General Rollo Gillespie was the most celebrated officer in India at the time. Gillespie lived a charmed life, surviving a number of deadly encounters that made him legendary in the West Indies and India. The objective was to decisively engage and destroy the Nepalese Army in a pitched battle and then march unopposed into Kathmandu. From the start, the invasion force would be plagued by numerous setbacks. The columns under Marley and Wood failed to even penetrate Nepal due to their own incompetence. Success hinged on the columns in the west, under Gillespie and Ochterlony. Gillespie had pledged to unite with the Ochterlony’s column by November 1. When the two forces were united, Gillespie would assume overall command and concentrate in a westward thrust on Nahan. The 4,000 man column first needed to dislodge the defenders at the fort of Kalunga, located five miles to the east from the town of Dehradun. This obstacle on his flank could jeopardize his column if it were not removed. The Nepalese garrison at Kalunga was too strong for Gillespie to detach troops to contain it while still being able to send an adequate force to Ochterlony’s aid. Less than half of the Nepalese garrison that occupied the fort could be considered soldiers. The Nepalese garrison was made up of an assortment of 600 poorly-armed Nepalese women, men, and children. It was under the command of Captain Balbhadra Kunwar, a man specially selected for his intrepidly and valor. These poorly clothed and supplied defenders lacked experience or the weapons to counter this overpowering foe. They had three elements that helped them to overcome their numerical and technological disadvantage: the surrounding rugged and impassible jungle terrain, the overconfidence of the British, and their own willingness to defend this hopeless position to the last. The fort itself was strategically posted on a detached hill rising approximately 600 feet from the Doon Valley. The fort was composed of twelve foot high wooden double palisade walls. The flanks and rear of the fort were protected by the rocky jungle terrain, making it extremely difficult to access. It was recorded that there was not a spot available in the valley that would afford room for 1,000 soldiers to pitch their tents. The approach to the fort was also hindered by a stream that ran through a deep ravine to the front of the fortress. The most accessible route was to the south, down a stony road from Dehradun. 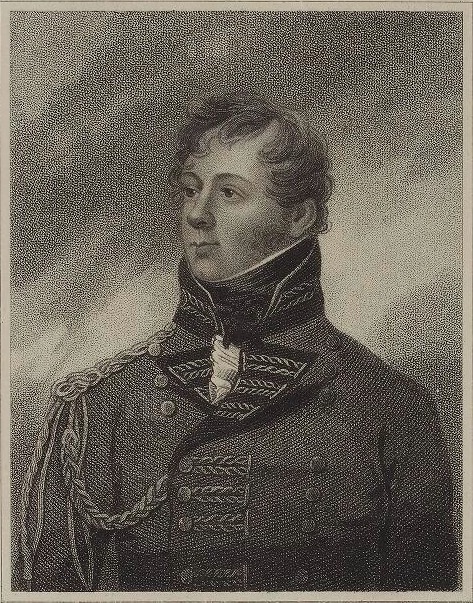 General Gillespie initially sent Lieutenant Colonel Sebright Mawby, an experienced and brave officer, with a small detachment to eliminate the troublesome fort. His detachment consisted of 1,300 infantry, 300 dismounted cavalry, and five light guns. When Colonel Mawby arrived, he sent a message to Captain Balbhadra Kunwar, demanding him to surrender. It was rumored that when Balbhadra Kunwar received the dispatch at midnight, he tore it up since it was against his custom to negotiate during the evening hours. On October 24 at approximately 4:30 PM, Mawby moved his guns within range and began to shell the fort. After several hours of continuous bombardment, Mawby realized his light guns had caused little damage. He judged the position too strong to be demolished without the support of heavier artillery. Mawby sensibly withdrew his detachment to await further orders from Gillespie. Gillespie received a dispatch from Mawby stating that he had withdrawn from the fort and was awaiting further orders. Gillespie was annoyed by what he saw as Mawby’s timidity. He did not wish to distract valuable time and manpower on this strategically unimportant fort. He feared a prolonged siege would direct his attention away from unifying his command with Ochterlony. However, he was well aware that Kalunga was an obstacle that had to be eliminated. On October 25, he sent a message to Mawby stating that he would join him in person. He redirected his nearby forces to assemble in the city of Dehradun at all haste. He then marched this unified command through the blistering heat to arrive at Kalunga on October 26.